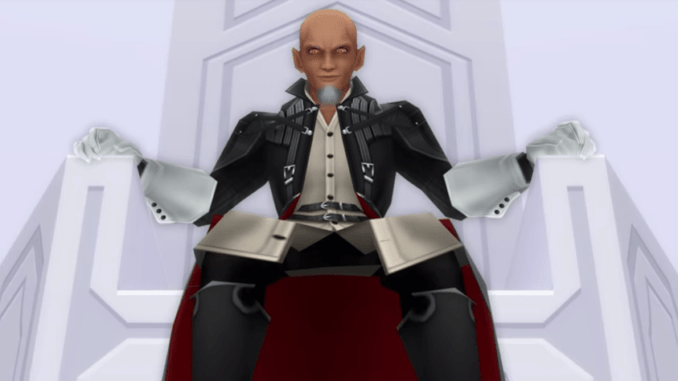 Details about Master Xehanort, the nefarious villain in the Dark Seeker Saga of Kingdom Hearts. Included in this article is a look at his history, his master plan, and the other versions of himself. 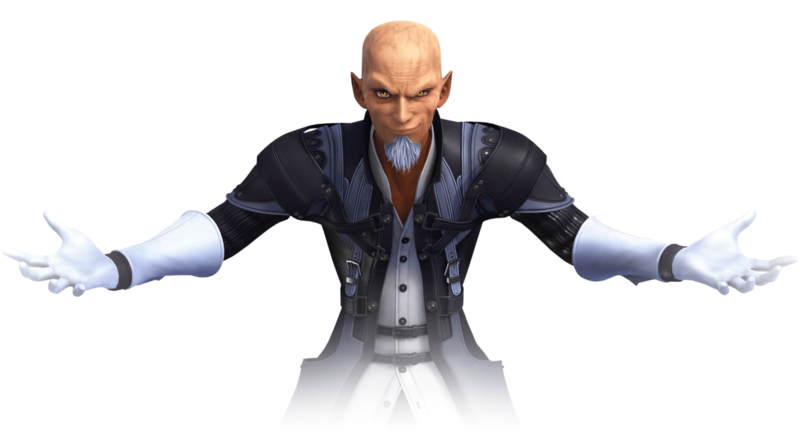 In the Kingdom Hearts series, Master Xehanort’s goal is to create a world in which light and darkness are in equilibrium. Throughout his travels to different worlds, he figured that light has been a “tyrant” and the world is meant to embrace the light and darkness equally. However, since the current world doesn’t allow the darkness equally with the light, he aims to destroy the present world and create a new one. 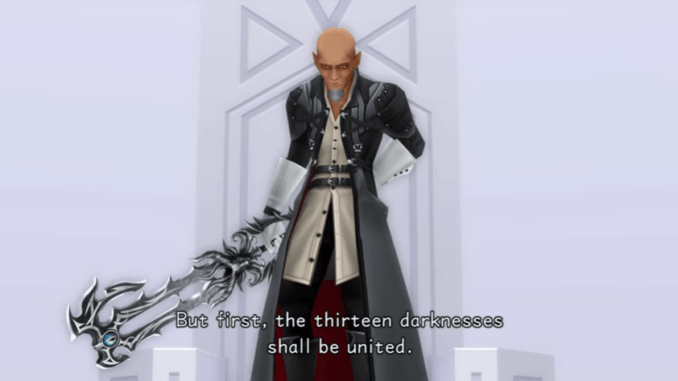 Xehanort plans to do this by instigating another Keyblade War and summoning the legendary χ-blade to open the gates of Kingdom Hearts, which contains limitless power. The young Xehanort was a genius who had an unquenchable thirst for knowledge. Because of his desire to learn more about the world, he decided to leave his home of Destiny Island. He eventually arrived at the Land of Departure where he met a Keyblade Master. 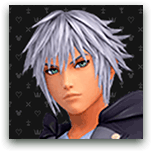 Xehanort, along with another young man named Eraqus, trained under the Master to protect the worlds of light and darkness. During his training, Xehanort would often visit other worlds without his Master’s permission. He started to wear his Keyblade Armor during his travels to the dark worlds for protection but then discarded it after learning that he doesn’t need the armor if he can control the darkness. His ideals warped as he continued his quest, finally coming up with the idea that a perfect world doesn’t just need light, it needs darkness as well. Master Xehanort is the strongest among all Keyblade Masters in the series. His power can be seen partially in Kingdom Hearts: Birth by Sleep during his battle against Terra, Ventus, and Aqua. 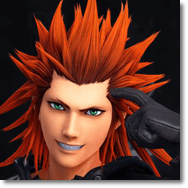 He is seen manipulating multiple Keyblades to attack the three protagonists. He also wields the oldest surviving Keyblade in the series, No Name. This Keyblade originally belonged to Luxu, an apprentice of the Master of Masters and one of the first Keyblade wielders. From Luxu, No Name was eventually handed down to Xehanort. You need to abandon and your body and become just a heart. You can only travel in a specific time if a version of you is present there. By becoming a heart, you can give all versions of you the ability to travel through time. However, they need your assistance for them to time travel. Once you go back to the present, you will lose all your memories of the time travel. Terra-Xehanort (a combination of Master Xehanort’s heart and Terra’s body) conducted a series of experiments on the Heartless. His unending curiosity of the Heartless eventually led him to corrupt his own heart, becoming a Heartless himself. He then split into two entities: Ansem, Seeker of Darkness, his Heartless, and Xemnas, his Nobody. 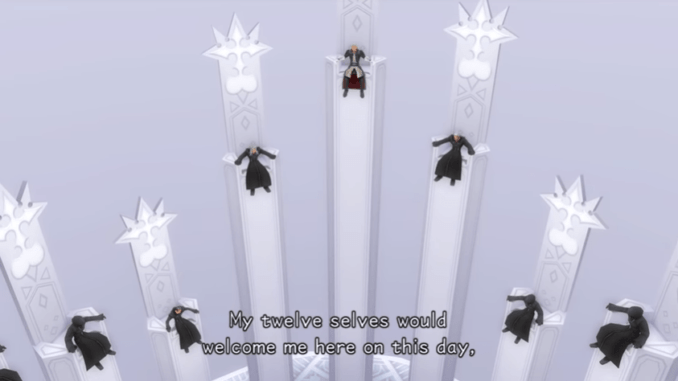 While Xemnas’ current goal is to gather thirteen vessels to house pieces of Master Xehanort’s heart, Ansem eventually learned about his power to time-travel. He used his newly acquired power to travel to the past and visit the young Xehanort who lived in Destiny Islands. Ansem told the young Xehanort about their mission, which is to collect ten living vessels to contain fragments of Master Xehanort’s heart. He then gave young Xehanort the power to travel through time. Young Xehanort then travel to the current time, thus becoming an ally to Master Xehanort’s quest to create “the Real Organization XIII”. 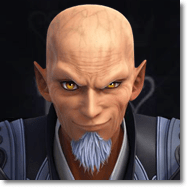 Master Xehanort – the mastermind of the Real Organization XIII. Ansem, Seeker of Darkness – the Heartless of Terra-Xehanort. Tried to open the gates of Kingdom Hearts in the first game. Xemnas – the Nobody of Terra-Xehanort. Leader of the previous Organization XIII. Young Xehanort – traveled through time with Ansem to assist Master Xehanort with his plans. Xigbar (Braig) – A nobody who appeared in Kingdom Hearts 2, Kingdom Hearts Birth by Sleep, and Kingdom Hearts 3D. The second member of the former Organization XIII. Saïx (Isa) – Another nobody who appeared in Kingdom Hearts 2 and Kingdom Hearts Birth by Sleep. The seventh member of the former Organization XIII.